Form B students welcomed mystery author Karen Kane in the Parrott Library in January. 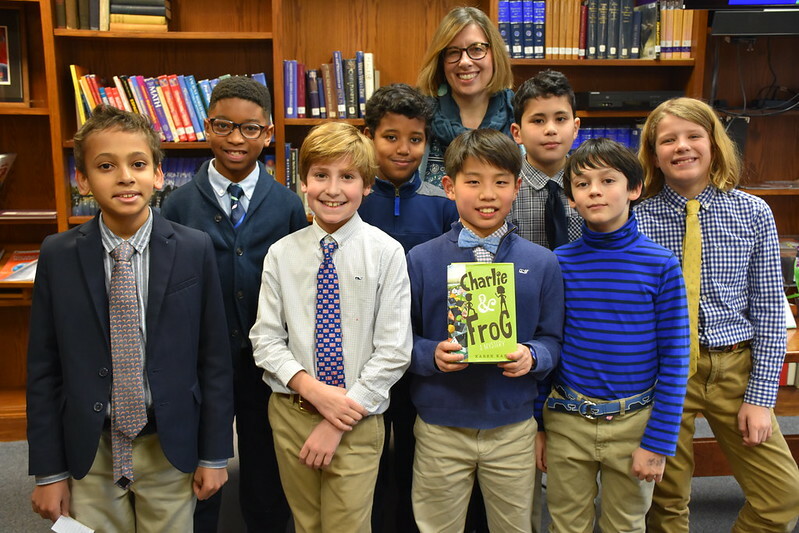 Kane came to discuss her new novel, Charlie & Frog, the process of writing a mystery, and how growth mindset helped her become an author. Students were eager to hear more about her revision process and the upcoming sequel to her book. Needless to say, the library’s copy of the book is in high demand! Enjoy the photos!